When your child refuses to wear a hat or mittens outside on a cold and windy day, then complains that they are cold, you can simply point out how those items would of helped (then produce the ones that you secretly stashed in your bag). If they refuse cold weather protection again, you can gently remind them of what happened last time. Check out our show and don’t tell post. Leave us your comments. Your feedback is greatly appreciated. Let us know what other topics you would like to have discussed. Share this post with your family and friends. Remember to always praise your child. One way to foster independence and personal power, while maintaining limits, is to offer your toddler specific choices whenever possible. 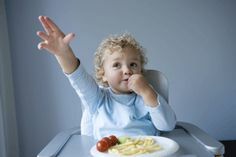 Begin as soon as your child can indicate their selection to you, either by pointing, signing or speaking. Most children are ready to participate meaningfully in choice making by 10 or 11 months old. There are certain times when providing choices can be especially helpful to you. It can ease the transition from one activity to the next, for instance. (“Do you want to carry your hat or your snack to the car?”). Choices can also help provide structure in an overwhelming environment like a large playground. Finally, think back to your past power struggles over nap time, diaper changing or getting in the car seat. With a little forethought, you might avoid conflict next time by offering your child a choice. Take a look at a child’s input. We do not know exactly where the solar system ends. The edge is about 12 billion miles from the sun. That is more than twice the distance from the sun to Pluto. So , scientist always knew there would be a lot of flying to do before the little ships left the solar system. But the ships are getting close. 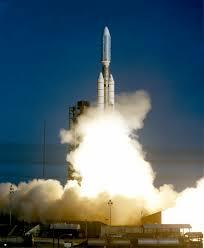 Voyager 1 is about 11 billion miles away from the sun. Voyager 2 is about 9 billion miles away from the sun. Since we have traveled a billion miles every 3 years, it should be soon that we reach the end of the solar system. How have the ships gone so far? It is because of their tiny nuclear power plants. They were built to keep the ships going for about 50 years. Power is expected to last until the year 2025. See how the Voyager got started. Leave us your comments. Your feedback is greatly appreciated. Let us know what other topics you would like to have discussed. Share this post with your family and friends. Keep praising your children. What Is With The Biting? It is part of normal toddler aggression, as is hitting and scratching. The bloodcurdling scream of a child who has just been bitten by another gets our attention in a hurry. It feels so disturbing. Animalistic, even. Toddler aggression comes in many forms: the 1-year-old chomping down on a new friend they just met at the park, an 18-month-old scratching their best buddy in the sandbox, a 2-year-old hitting their sister in the playroom. These acts, while seemingly cruel, are rarely rooted in a desire to inflict harm purely for harms sake. In fact, they are normal and often a sign of social and cognitive developments. The issue typically begins after age 1. They not only start to notice other children as peers to play alongside, they see them as obstacles to getting what they want. They will seek more independence and spend more time experimenting with way to assert themselves and get their needs met. When these advancements outpace their limited language skills, they are unable to verbalize their desires or get the results they are seeking. It is no surprise, then, that so many 1 and 2-year-old kids interact with peers through physical means. 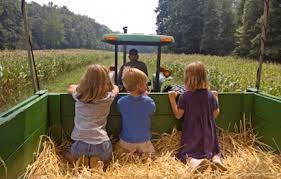 For example, your child will notice another child playing with the truck they want. They will try to assert their desire by first stating, “Mine,” and then grabbing for the toy. If that does not work, they may next resort to biting or pushing. Sometimes aggression goes too far; if your child is hitting most of the time, if other children are afraid of them or if you have not been able to help them make changes to their behavior, talk to your pediatrician. The doctor might recommend a child psychologist who can help you work through it. But keep in mind that your child will likely outgrow their aggressive tendencies. Does Your Baby Have Bottle Blues? 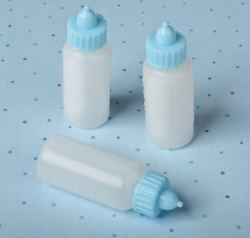 Baby bottles filled with milk or juice give both nutrition and comfort to most babies. However, you need to be aware that your baby’s ritual of falling asleep with a bottle in his or her mouth could lead to a dental condition known as “baby bottle syndrome” that could destroy your child’s teeth.